A Nurturing Environment for Mentally and Developmentally Disabled Individuals to GROW, LEARN, and SUCCEED! we work in their home." We have multiple homes in the community and one main campus serving special needs in Central Louisiana. Pecan Grove Training Center is a truly special place that provides unique opportunities for our clients. We provide 24-hour residential care in a warm, safe, learning environment for people with developmental, intellectual and physical disabilities with a caring staff to meet each individuals need. 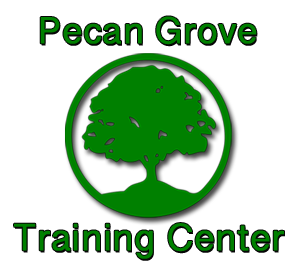 Pecan Grove Training Center has been part of the community serving our clientele for over 40 years. We are composed of a 102 bed main campus in Alexandria, LA, with a day program on site. In addition to the main campus, we have 3 community homes in the Alexandria area. Our clients face and conquer their challenges daily with help from our loving staff and an individualized training program, specific to their needs. Get on Board with us in our new venture to move from our large facility to smaller 8 bed homes. Breaking ground this year to start building brand new homes. Applications for Group Home being accepted NOW! Call us for more exciting news to learn how to be a part of our community.